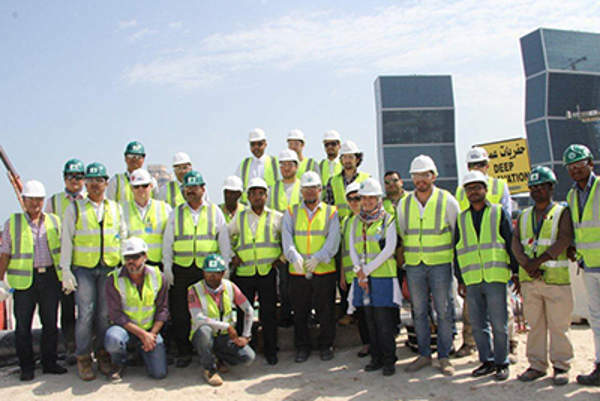 A group of journalists from the local media visited the Lusail Expressway project site in February 2014 to watch the progress achieved. Ashghal has started works on the first phase of Lusail Expressway Project. The Lusail Expressway Project is expected to be completed in January 2018. The Pearl interchange will benefit the local development areas in Pearl with improved connectivity. The Lusail Expressway will run north from the Doha, Qatar, to connect the under-construction Lusail development area. The QR3.5bn ($960m) expressway project broke ground in November 2012 and is scheduled to be fully operational in January 2018. The expressway is one of the biggest among 30 road projects to be developed as part of Qatar’s seven-year expressway programme initiated in 2010 to connect people and places across the city of Doha and Qatar through 900km of new roads, involving a number of underpasses, flyovers and multi-level interchanges. The Lusail Expressway is being developed by Ashghal, the Public Works Authority of Qatar, and will form an important part of the Doha Expressway network. 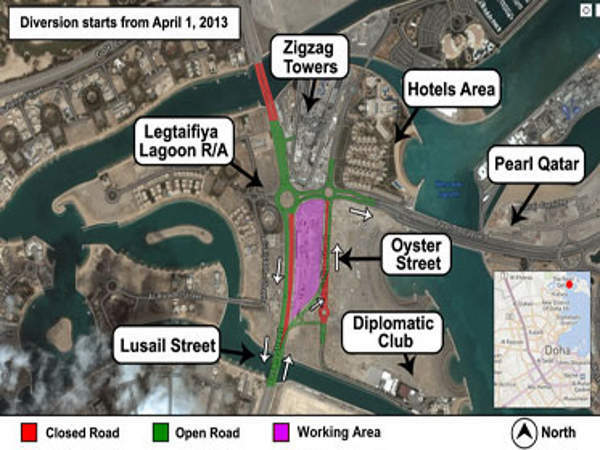 The existing Al Istiqlal Road stretching from south of the Al Wahda (Arch) roundabout to the north of the North Channel Crossing and Onaiza Street was upgraded as part of the Lusail Expressway project. The project will involve 5.3km of four-lane highway in both directions and three major interchanges in Northern Doha. The expressway will also have two service lanes in the multi-level interchange areas and include a complex network of tunnels, flyovers and junctions in order to meet the future traffic demands by providing easy and quick connectivity. 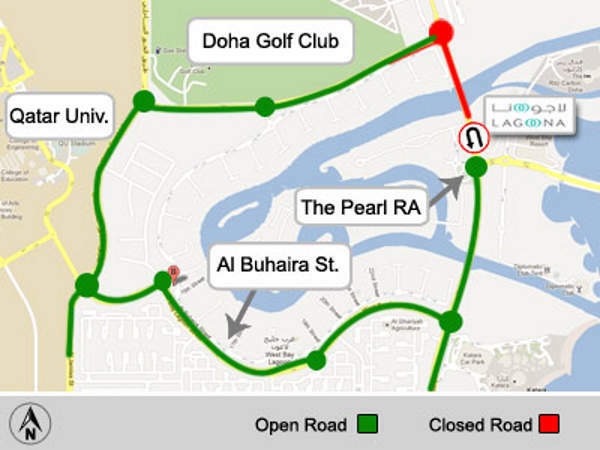 Apart from offering fast connectivity between Doha and Lusail, the expressway will improve interchanges benefiting the existing development areas such as Pearl and Katara with improved connectivity. The expressway will also offer a key interface with the future Sharq (Doha Bay) crossing and complement the upcoming light rail transit (LRT) and the future Red Line North of Doha Metro. With an elaborate artscape and beautification scheme spanning along its length, as well as iconic super structures planned at key locations along the route, the new expressway will become a landmark in the region. Three major interchanges, namely the Al Wahda Interchange, the Onaiza Interchange and the Pearl Interchange, will be built as part of the Lusail Expressway project. 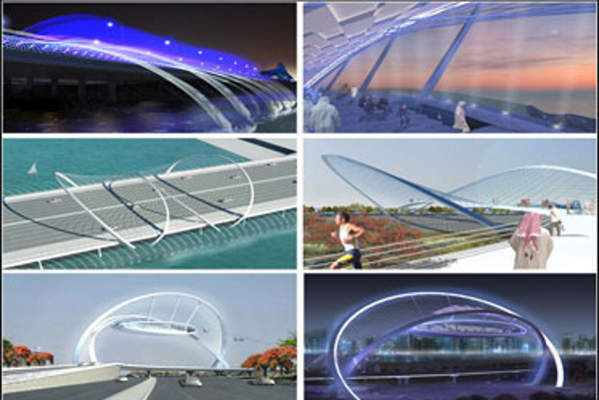 As part of the Al Wahda Interchange project, the existing Arch Roundabout will be developed into a three-level interchange with a dual three-lane underpass connecting the Al Dafna area to Lusail. It will offer a single point interchange at the ground level for the Arch traffic and three-lane directional links from Lusail Expressway to the Central Business district at level 1. A free-flow interchange on four levels, including both under and above ground, were developed at the Onaiza Interchange. A 600m-long tunnel was built to carry commuters travelling along the expressway beneath the interchange; whereas the Onaiza Street was elevated as a dual two-lane flyover. Tunneling works for the Onaiza Interchange were completed in early 2017. The existing single-level Pearl Interchange will be converted into a three-level interchange with all the three levels to be built below ground level. Bidirectional three-lane tunnels to be built as part of the interchange will provide free flow access in and out of The Pearl- Qatar development area. A 1.1km tunnel that will be 9.5m-wide and 5.5m-high will also pass beneath the interchange at a depth of 25m to provide connection to the future Light Rail Transit system. Apart from three major interchanges, the project also involves the construction of two new multi-lane canal crossing bridges. In addition to the road construction and landscape works, the project will upgrade the stormwater network as well as the electrical and telecommunications network. Around 2.9km-long tunnels of 3,000mm internal diameter are being constructed for the conveyance of 132kV cables, and around 1.2km of tunnels of 2,500mm internal diameter are being constructed for the drainage system. Hyundai Engineering and Construction was awarded the main construction contract for the expressway in 2012. Hyundai Engineering subcontracted DCE to perform Stage 2 road safety audit on the project’s traffic management system. CDM Smith is the supervision consultant for the project. AECOM Middle East is the design consultant, while KBR will act as the programme manager.